Community participation has a direct effect on efficient SWM plan. Municipalities don’t have awareness programs for SWM staff, and for the public. They have failed to educate citizens on the basics of handling waste and appropriate way of storing it in their own bins at the household, shop and other institutions and then disposing it in the communal storage points declared by the authorities. Other countries have adopted different or combined waste management procedures such as source reduction, collection, recycling, composting, incineration, and landfilling based on their income level. On a related matter, households, hotels, restaurants, schools and other commercial establishments should be directed to introduce systems for segregation of solid waste. Imposing fine will not give results unless the public understand the importance of keeping the country clean. All of these topics, will be discussed at Waste Management Expo in Lebanon. Waste Management Beirut, is not only an Environmental Reformation Conference or Recycling Exhibition and conference, but will be the best platform to shed light on the latest technology in water and wastewater management. The waste expo Lebanon, will present several recommendations to improve waste management, such as, organizing public awareness programs, which could start from the schools; increasing efforts for recycling, keeping in mind future population growth, resource recovery, strengthening capacity of municipalities and encouraging public private partnerships. 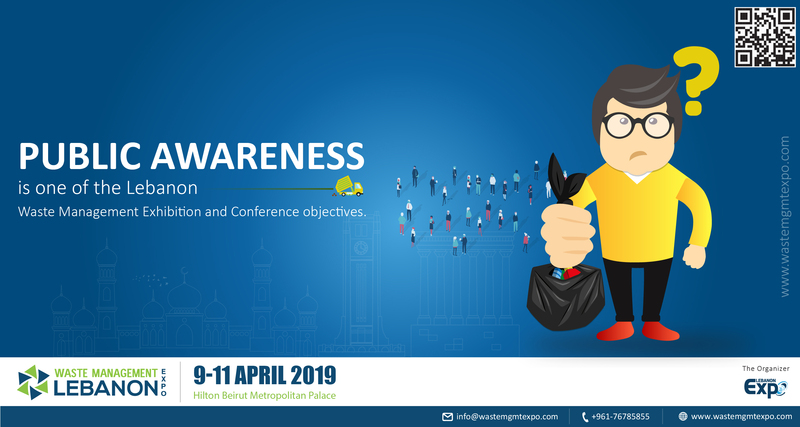 It will be attended by government representatives, senior executives, policy makers, developers, academicians, engineers, planners, designers, researchers and entrepreneurs – All related to Waste Management profile. As per recent global waste report it is responsibility of every country’s government to educate the people through the social events, trade events and conferences like in this time so many countries is very active and I went through the Google and done the research about waste management in Lebanon, The Lebanon country itself having set an exhibition and conference which is related to waste expo in Lebanon and waste management expo in Lebanon organized by Lebanon Expo. I recommend to the people must visit waste management expo in Lebanon to explore and grab the knowledge.